Over the course of his nearly two-year-long probe, special counsel Robert Mueller and his team of prosecutors have now indicted 34 individuals and three Russian businesses on charges ranging from computer hacking to conspiracy and financial crimes. Those indictments have led to seven guilty pleas and four people sentenced to prison. Former Trump campaign chairman Paul Manafort faced charges in two separate federal courts on a slew of financial crime charges related largely to his lobbying work in Ukraine. A jury found Manafort guilty on eight of 18 counts he was tried within the Eastern District of Virginia, with the judge declaring a mistrial on the other ten. The guilty charges included multiple counts of false income tax returns, failure to file reports of foreign bank accounts, and bank fraud. Manafort was charged with an additional seven counts in the District of Columbia and pleaded guilty to conspiracy against the United States and to witness tampering in the D.C. case. As part of the plea agreement, Manafort also admitted his guilt on the remaining counts in his Virginia trial. Read more here. Rick Gates, a former Trump campaign official and longtime business associate of Paul Manafort, was charged in two separate federal courts in connection to financial crimes, unregistered foreign lobbying and on allegations that he made false statements to federal prosecutors. Gates pleaded guilty in Washington, D.C. in February 2018 on counts of conspiracy against the United States and lying to federal prosecutors. As part of his plea agreement, he avoided a slew of financial charges in the Eastern District of Virginia that included assisting in the preparation of false income taxes, bank fraud, bank fraud conspiracy and false income taxes.His charges are intimately tied to those of Manafort. In the Eastern District of Virginia, the two were indicted jointly. Read more here. The special counsel issued three separate indictments against Manafort. In the third, prosecutors implicated Kilimnik for the first time, charging him with conspiracy to obstruct justice and obstruction of justice.These charges concern communications between Manafort and Kilimnik regarding messages they exchanged with two journalists who were potential witnesses in the case against them.Though Kilimnik has been indicted, he remains outside of the reach of U.S. law enforcement. Read more here. In his dramatic and surprise guilty plea in U.S. District Court on Dec. 1, 2017, early in Mueller's investigation, Army Lt. Gen. Michael Flynn acknowledged that his false statements and omissions in FBI interviews a few days after Trump was sworn in "impeded and otherwise had a material impact on the FBI’s ongoing investigation into the existence of any links or coordination between individuals associated with the campaign and Russian efforts to interfere with the 2016 presidential election," which the statement of offense he agreed to said. He specifically admitted to lying about asking the Russian ambassador to refrain from responding to Obama administration sanctions against Russia for its election interference and further requested Russia help block a United Nations vote on Israeli settlements which the incoming administration didn't agree with. Flynn also agreed that he lied about his lobbying activities in federal filings related to work on behalf of the Republic of Turkey throughout the 2016 campaign. Read more here. The seven counts against President Donald Trump's longtime friend and veteran political operative Roger Stone include one count of obstruction of an official proceeding, five counts of false statements -- including lying to Congress -- and one count of witness tampering in special counsel Robert Mueller’s probe into possible collusion between Russia and the Trump campaign during the 2016 presidential election. The charges brought by Mueller's office largely revolve around false statements Stone is accused of making to the House Intelligence Committee regarding his communications with associates about Wikileaks. He also stands accused of witness tampering in connection with humorist and radio show host Randy Credico's testimony to the House Intelligence Committee. In Stone's 24-page indictment, Mueller painted perhaps the clearest picture yet of possible collusion between the Trump campaign and Russia. Read more here. Michael Cohen, President Donald J. Trump’s former personal attorney and long-time fixer, pleaded guilty to one count of making false statements to Congress, a crime punishable by up to five years in prison and a maximum fine of $250,000. In December, a federal judge in New York sentenced Cohen to three months in prison on the false statements charge to be served concurrently with a three-year sentence he received for other crimes committed in the Southern District of New York. He is due to report to prison by March 6. Read more here. Long before Russian hackers purportedly stole emails from the Democratic National Committee, other Russians were already attempting to interfere with the U.S. political system and American society through a widespread online influence campaign, according to special counsel Robert Mueller. The influence operation started as far back as 2014, was well-funded in part by a reported associate of Russian president Vladimir Putin, and took advantage of the already divisive political landscape to try to turn Americans against one another, an indictment filed by the special counsel says. Read more here. On July 13, 2018 special counsel Robert Mueller took direct aim at the Russians who allegedly were personally responsible for infiltrating the Democratic National Committee’s computer system, among others, setting in motion what former intelligence officers call one of the most effective active measures campaigns in history. The defendants are charged with Conspiracy to Commit an Offense Against the United States, Aggravated Identity Theft and Conspiracy to Launder Money. Read more here. George Papadopoulos, the novice, unpaid foreign policy adviser to Donald Trump was secretly arrested for lying to FBI investigators about his correspondence with foreign nationals with close ties to senior Russian government officials. His indictment was revealed to the public after he pleaded guilty in October 2017. In September 2018, Papadopoulos was sentenced to 14 days incarceration, 200 hours of community service and a $9,500 fine. Read more here. 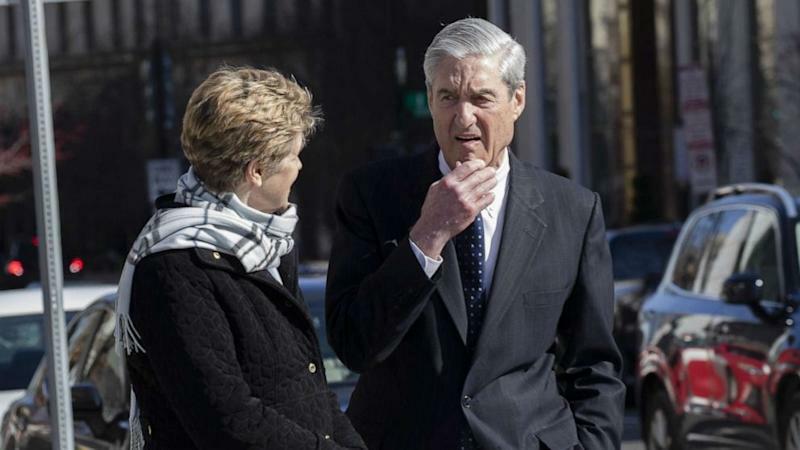 In April 2018, Dutch national Alex van der Zwaan became the first person sentenced in special counsel Robert Meuller's Russia investigation in federal court in Washington. Earlier that year, he had pleaded guilty to lying to federal agents about his contacts with Trump campaign deputy chair Rick Gates in September 2016. Read more here. Richard Pinedo might be one of the lesser-known figures caught up in special counsel Robert Mueller's investigation but the California man played an instrumental role in a Russian troll factory's online influence campaign during the 2016 election by unwittingly selling bank accounts to Russians. In February 2018, Pinedo pleaded guilty to one count of identity fraud and in October that year was sentenced to serve six months in prison, followed by six months of home confinement and 100 hours of community service. Read more here.